Corboy & Demetrio is pleased to announce 14 of its lawyers have been named to Leading Lawyers for 2014, more than any other plaintiff’s law firm in Illinois. Joining the list for the first time are Corboy & Demetrio attorneys William T. Gibbs and Michelle M. Kohut. Bill is involved in a number of high-profile cases, including the NFL concussion litigation where he and partner Tom Demetrio represent 10 players or their estates. Michelle M. Kohut currently serves as President of the Women’s Bar Association of Illinois. · One of the Top Ten Personal Injury Lawyers in Illinois, ranking second. · One of the Top Ten Consumer Lawyers in Illinois, ranking second. · One of the Top Ten Leading Lawyers in ALL practice areas in Illinois, ranking third in the entire state. 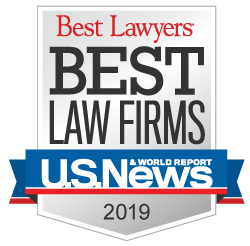 Leading Lawyers is the pre-eminent attorney rating service in Illinois that’s based on unbiased voting by a lawyer’s peers via Leading Lawyers’ annual attorney surveys. A law firm cannot nominate its own attorneys nor can it pay for a nomination. Four Corboy & Demetrio partners were named as the Top 100 Consumer Lawyers in Illinois. In addition to Tom Demetrio, the list includes Robert J. Bingle, Philip Harnett Corboy, Jr., and Michael K. Demetrio. Also, Corboy & Demetrio lawyer Susan J. Schwartz was selected for the Top 100 Women Consumer Lawyers in Illinois. Susan practices in the area of Plaintiff’s Medical Malpractice.